This is a good pattern for Charm Packs. 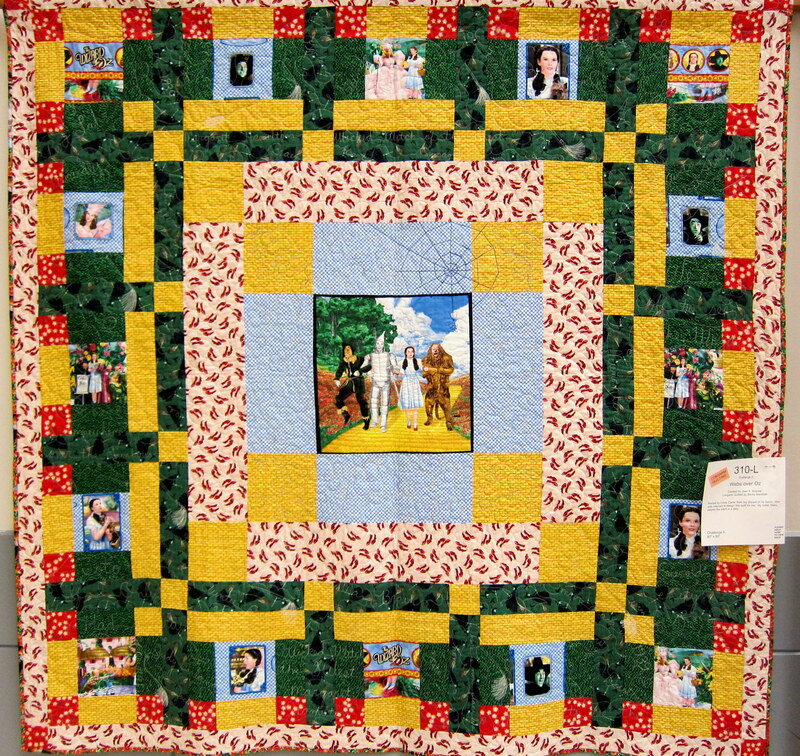 This quilt was originally presented as a Mystery Quilt in 2010. 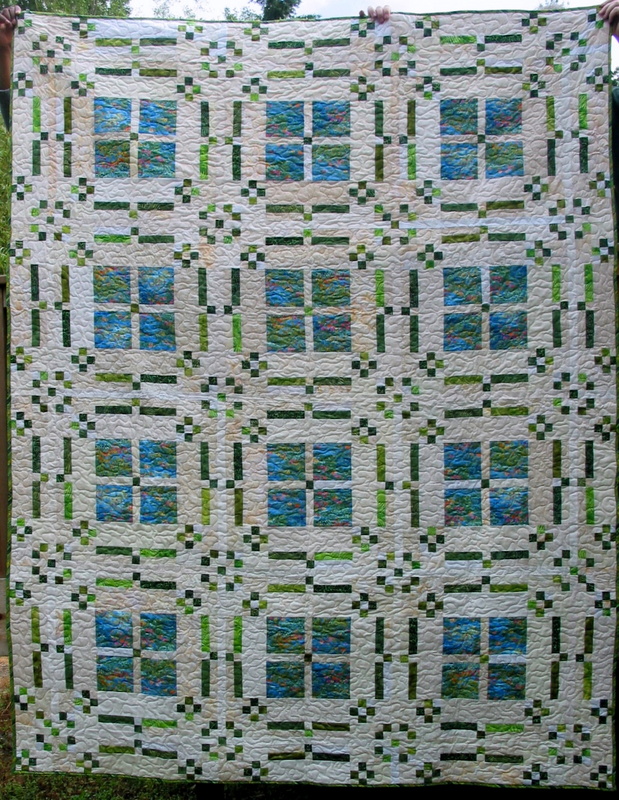 I donated this quilt to a cancer charity auction. 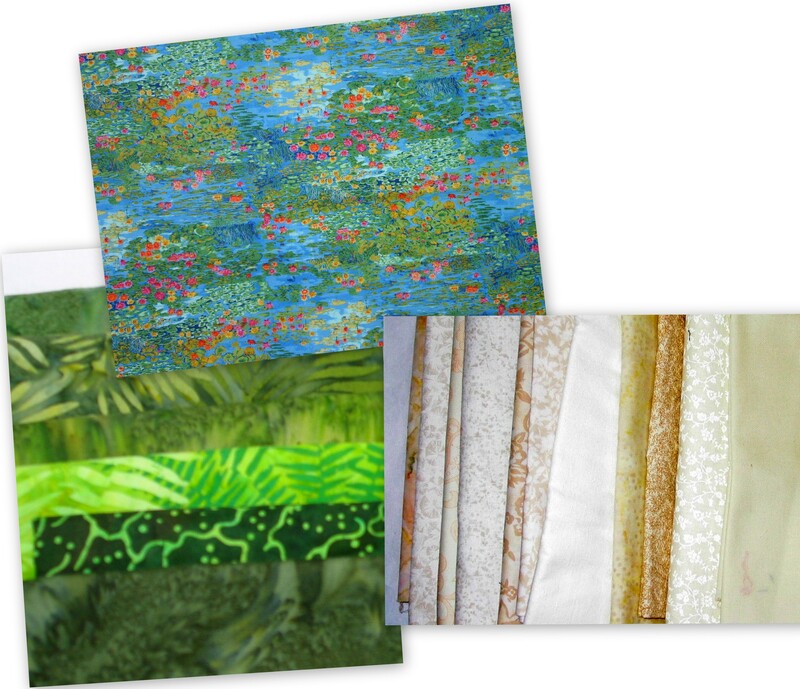 For those interested in the Water Lily fabric. 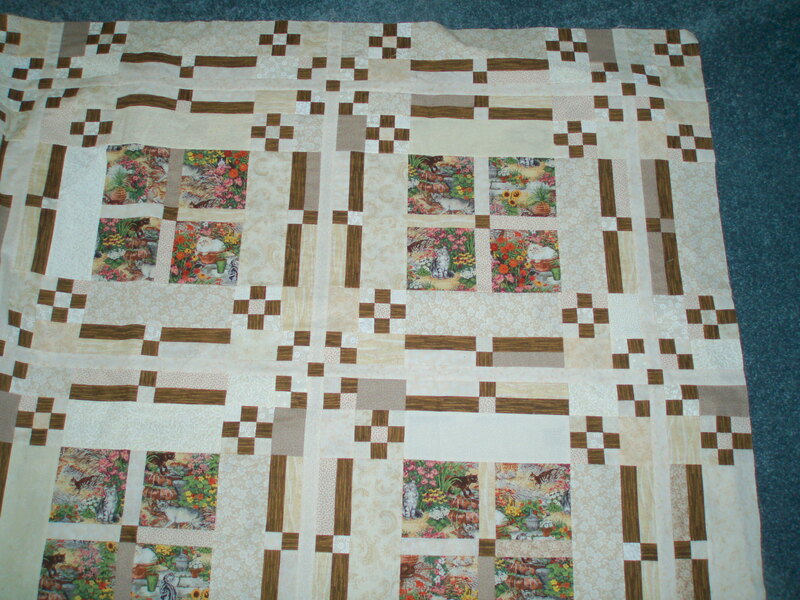 Here is a photo of a quilt made by Betty C. Thanks for sharing. 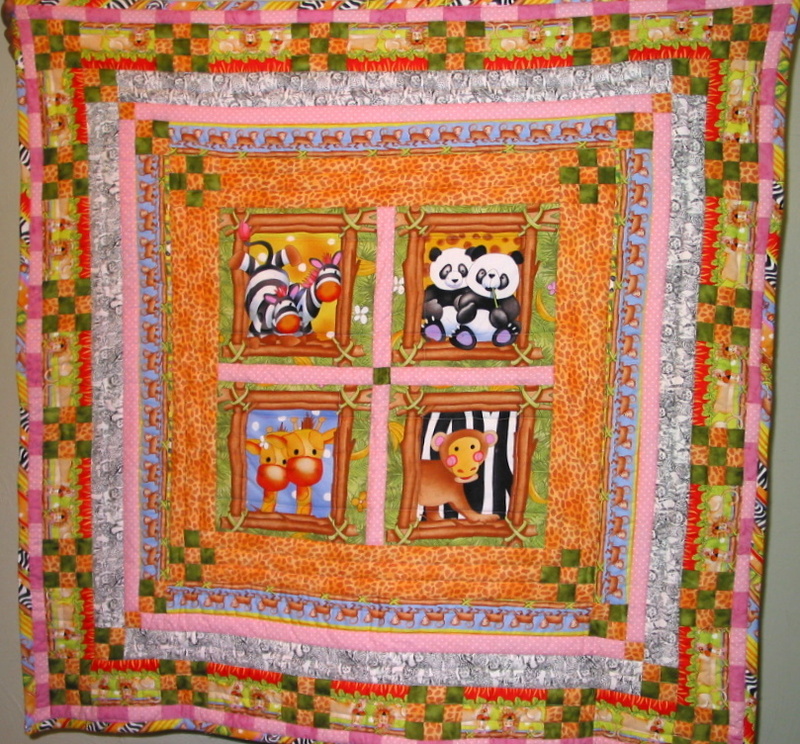 These three quilts were made for my two granddaughters and the son of a friend. 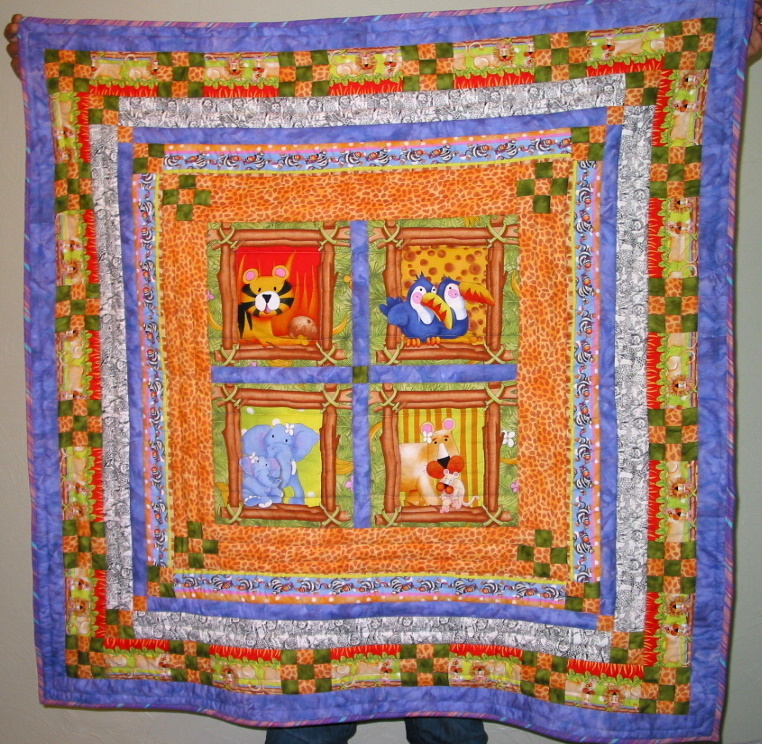 The quilt was a mystery quilt pattern in 2010. 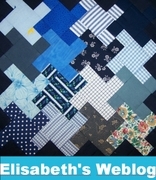 This quilt is now available as a pattern in one document. 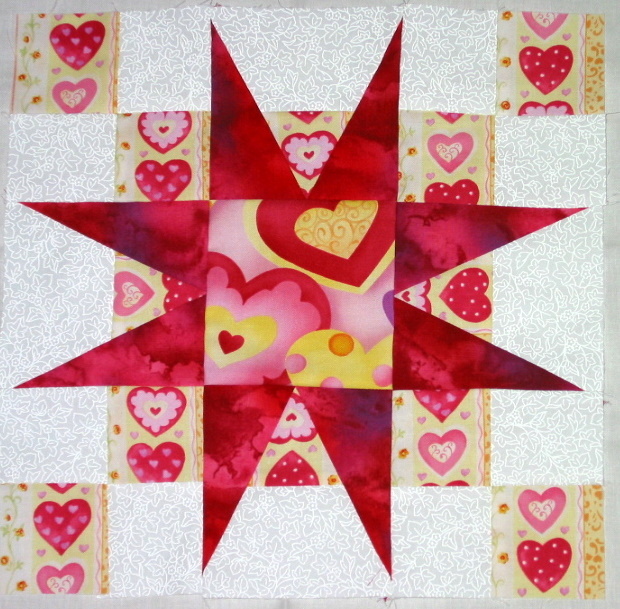 Here is a photo of a delightful quilt made by Betty C.
I needed a star block for a couple of friends who are making lovequilts. 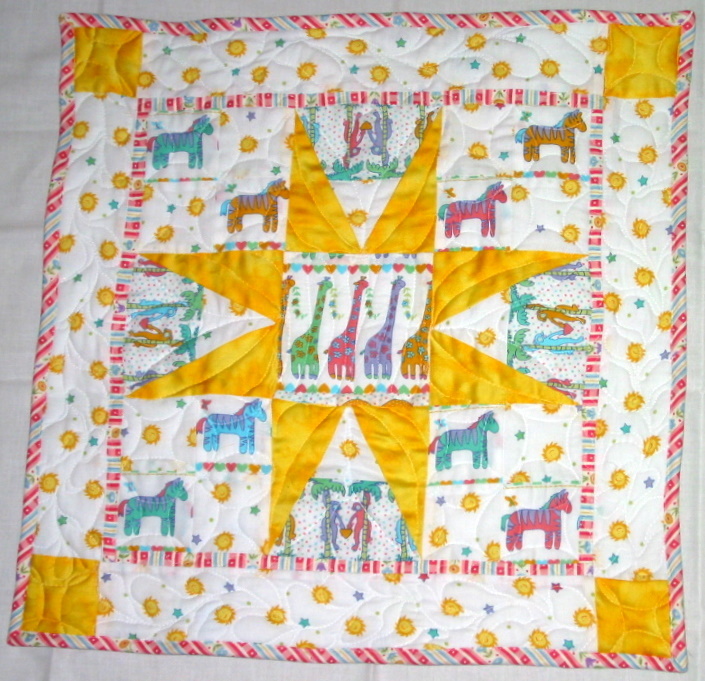 I also needed the doll quilt for a Christmas charity project for my quild. Others refurbish dolls and make clothes. They are given to children in homeless shelters. Clues will be posted here February 25 through March 5, 2010. NOTE: Please download the Fabric Requirements again. I have modified them slightly. 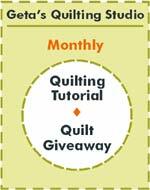 Also.. after making my quilt I had a great lesson learned. 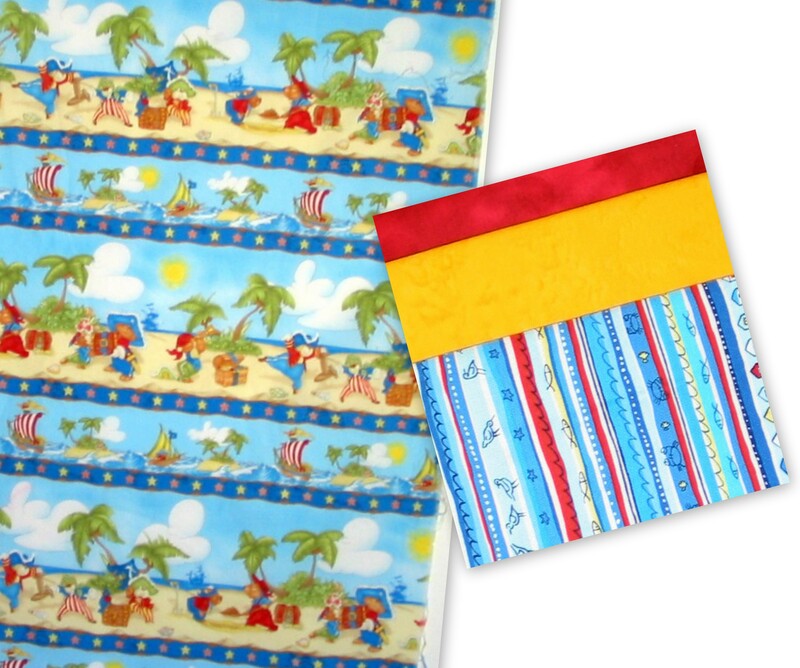 Buy 2 yards or meters of the fussy cut fabric.. it is much easier. The pattern will work with one yard so if you already have your fabric it will still work. I made mine with one yard since I didn’t feel like finding that fabric online (I bought it on vacation in Oregon a while back). 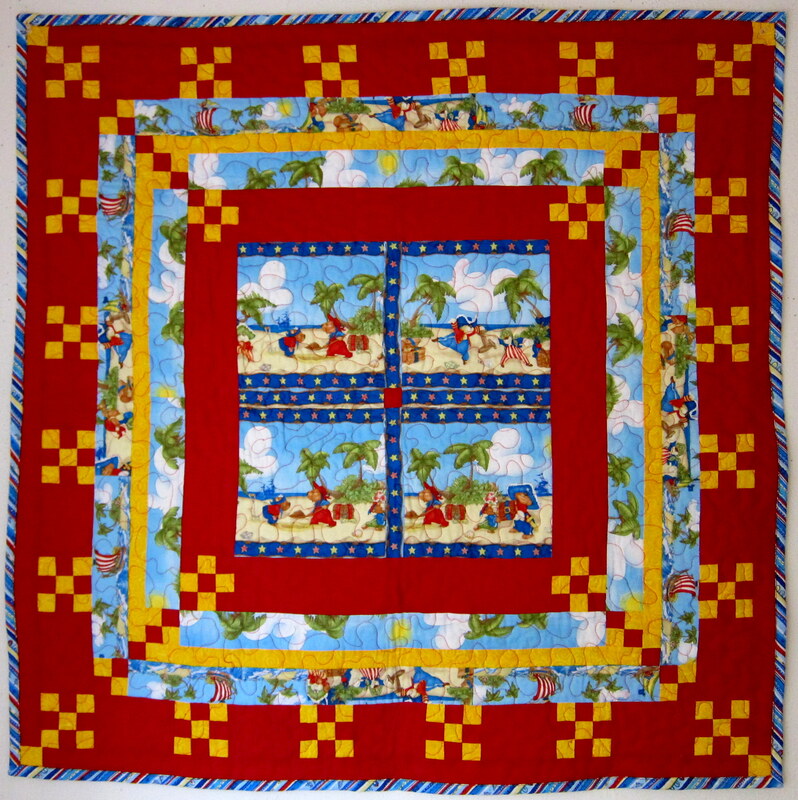 I bought one yard of pirate fabric, found some coordinating fabric in my stash and challenged myself to make a baby quilt pattern. 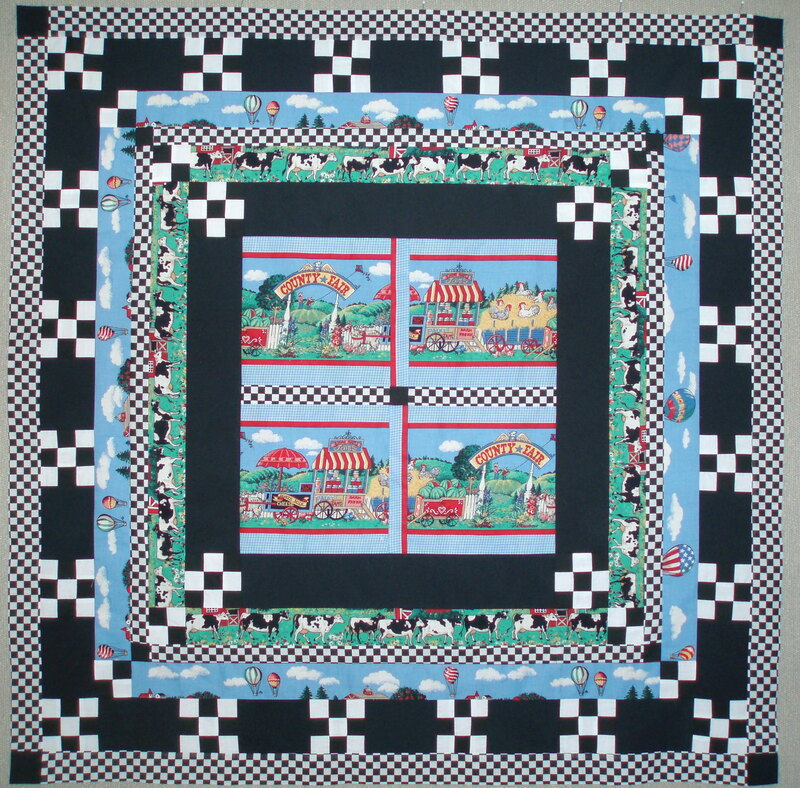 This is a good pattern for fabric that has 8″ panels or has a border print like the pirate fabric that can be fussy cut. Click HERE to Download Clue #10 – THE FINAL CLUE! This fabric is several years old. I will be making all of my 5” squares from my Water Lily fabric. My background will be scrappy neutrals. My accent will be scrappy green batiks.